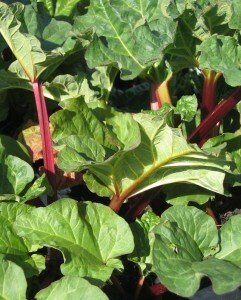 Rhubarb is a vegetable that sometimes looks like a leafy bush to those unfamiliar with it. However, in the US it is classified as a fruit. Rhubarb needs several years to establish itself before harvesting, and the vegetable is harvested primarily in the spring.